We are a small team that have been providing C4D users plug-ins for 8 years. Our goal is to develop reliable products, and we will work with our customers to provide support in a responsive manner. Our vision is to develop and support 3D projects with innovative and high quality services, support, and material. We welcome suggestions, comments, and criticism from all. It is important for us to work with and listen to the needs of our customers and partners, and to continue to strive for excellence. Your time is valuable and it is our goal to try and help you use it as efficiently as possible through the use of a dependable set of tools. We design reliable C4D plug-ins to improve workflow efficiency and/or to provide our customers with functionality not offered by the version of Cinema 4D that they use to produce their artwork. Our plug-ins allow our customers to invest more time in the creative process by reducing time spent performing repetitive tasks. Increasing fluidity of animation with dynamic F-Curve manipulation. Saving, loading, and transferring animation to reduce workload redundancies. Batch rendering with the option to choose which files to use and which cameras in those files. Protecting design information by allowing users to lock the details of the scene. 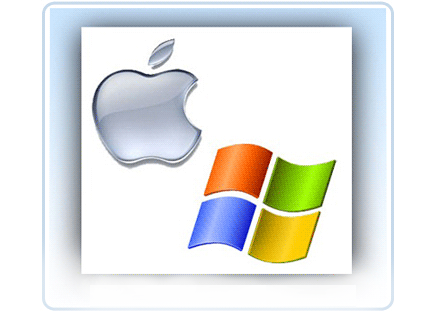 More requirements are list on each individual plug-in page but most of our plug-ins are supported on MAC and Windows operating systems, on 32 and 64 bit machines, and work with Cinema 4D versions R10 and up. For more information about any specific plug-in click on the appropriate link in the Plug-ins Menu above. Most of our plug-ins have a demo mode to try the plug-ins or to download them click on DOWNLOADS or click on the DOWNLOADS link at the top of the page. If you have tried a plug-in out and would like to purchase it go the Purchase page and follow the instructions for purchasing a plug-in. Our goal has always been to provide a wide variety of plug-ins that help C4D users work as efficiently as possible and easy to use. 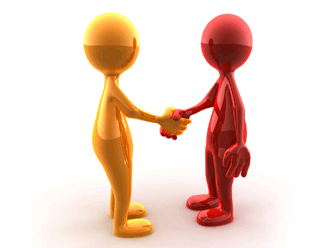 We enjoy working with our customers! Some parts of your projects can be less fun than others and we try to help you focus on the enjoyable parts by removing workflow redundancies. Our existing plug-ins have come from both customer needs and our own. 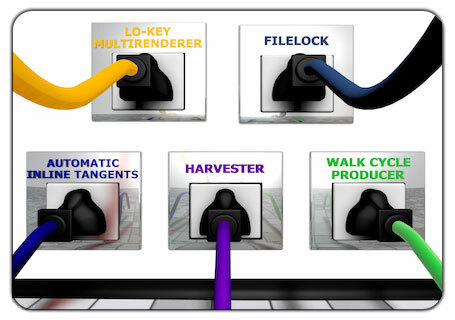 The Lo-Key Multi-renderer plug-in was the first plug-in we created, and as demand grew we began developing more complex plug-ins, such as the Harvester and Walk Cycle Producer plug-ins. We completely understand the desire to have additional functionality in your work environment, and would like to continue to provide the C4D user community with plug-ins. Copyright © 2007 - 2016 TotalEmersionStudios. All rights reserved.